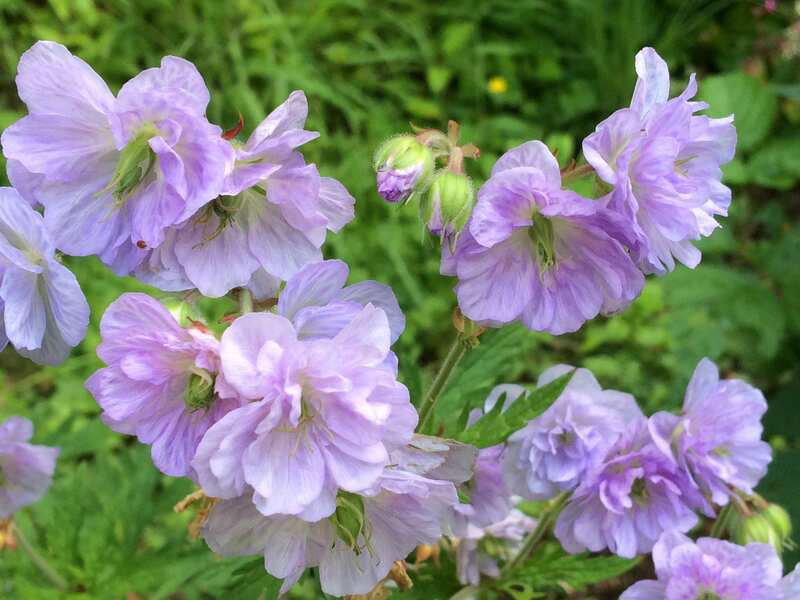 After trialling this for the last four years for our great friend, Helen Warrington of Ty Cwm Nursery, we are very pleased to be able to introduce Geranium pratense ‘Cloud Nine’. Awarded a Silver Medal as a new plant at the HTA National Plant Show 2017 and described by Robin Moss as the best double flowered cranesbill he has ever seen. It is strong growing, pest and disease resistant and bulks up quickly. The double soft, egg-shell blue flowers smother the plants in early summer and repeat in late summer. Can reach 90cm tall once established and is a great pollinator plant too. Hardiness rating H7. Pot size 1.5 litre. A robust plant which if cut back will produce a second flush of flowers. Sterile, so can only be propagated by division, for personal use. Nurseries and professional growers please note: PBR (Plant Breeder’s Rights) apply. Plants arrived yesterday looking extremely healthy and very well packed. Excellent service and courier. Have not planted as yet, but looking forward to seeing this geranium in flower.